Pangolin - Jackson Wild: Nature. Media. Impact. 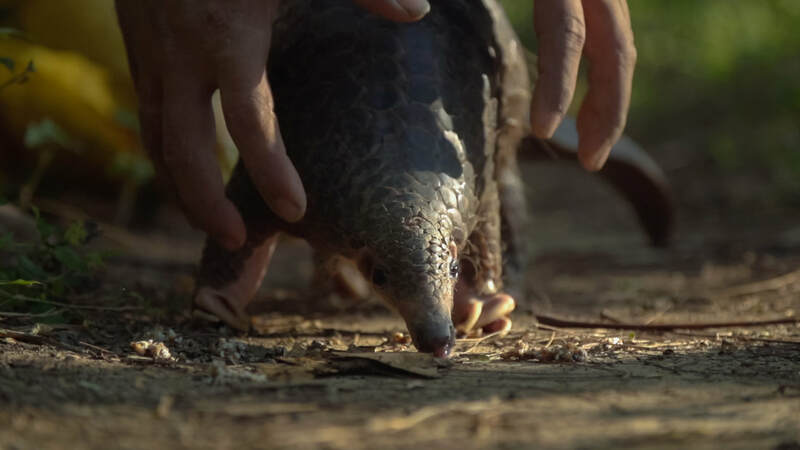 Pangolin is an intimate glimpse into the journey of a single pangolin; from the moment it is taken from the wild to its final destination in China. 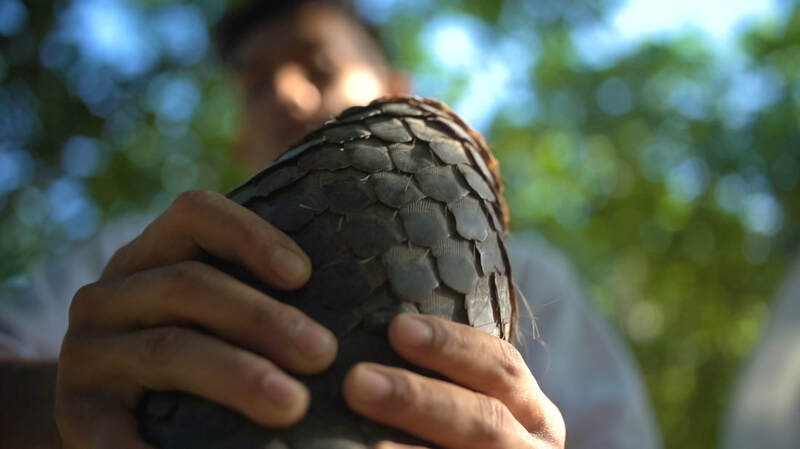 Filmed on location across three countries with the help of reformed poachers and wildlife enforcement officers, the film acts as a surrogate for an estimated hundred thousand pangolins that are poached and smuggled annually throughout Southeast Asia and Africa. 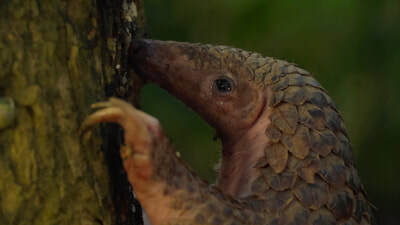 PANGOLIN seeks to inform a broad audience about pangolins and the illegal trade they are central to, in order to address the very real danger that pangolins might be extinct before much of the world ever knew they existed. 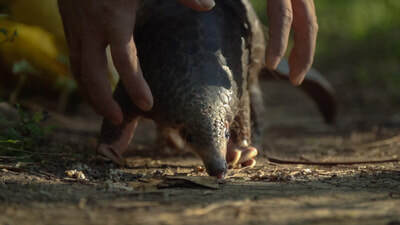 Filmed with minimal commentary to be as immersive as possible, PANGOLIN offers audiences the opportunity experience the life, death and afterlife of the most illegally trafficked mammal on the planet. A journey into the life of the Pangolin, the world's most illegally trafficked mammal and the world's only scaled mammal. There are 8 species of Pangolins, four in Africa and four in Asia. Because their meat is consumed as a luxury item in China and Vietnam and their scales have supposed health benefits, it is estimated that one-million Pangolins have been snatched from the wild in the last decade. All Pangolins are considered endangered and are now listed under CITES Appendix 1, the highest level of protection world wide. We don't know much about Pangolins, their lifespan and how many are left in the wild, but based on their life cycle they are likely to soon go extinct at the rate they are being killed. I think it's tragic that there are incredible species on this planet that will go extinct before most people know they exist. In 2014, I was living in Palawan, Philippines during a one-year Luce fellowship with my husband. I met with Nino Rey Estoya, who combats illegal wildlife trafficking on the island. As he described how Pangolin is caught and smuggled off the island, I began storyboarding a film in my head. I went home that day, wrote the entire script, pitched it to Nino and we began what would be over a year of production. We began interviewing undercover informants who were posing as active poachers. One of them told us, “I had an experience where I saw the Pangolin looking into my eyes as I was slitting his throat, he seemed to be begging me to stop.” His experience was a big inspiration for the film. Because we did almost everything out of pocket, we couldn't hire actors so we cast several different people to play each major role. We were very worried about continuity issues. Despite this, we were able to record about 90 percent of the poaching process. We were missing the very beginning, the crucial moment where a live pangolin being taken from the wild. After three failed expeditions to remote areas of the island, we were in jeopardy of not being able to finish what we started. I sent a desperate email to the Bali Zoo, one of the only places in the world at that time that had an Asian Pangolin species in captivity. Amazingly, they allowed me to use Toby, their Sunda Pangolin, to capture the remaining scenes. The film is sort of an amalgamation of documentary, investigative journalism and re-enactment. In my personal work, I'm always trying to make beautiful images and show things from the perspective of the animal. For people to emotionally connect with the Pangolin and its journey and to feel inspired to want to protect it. That people share the film with their friends and family. Conservationists, researchers, government officials....everyone needs to work together to solve this issue locally and on the demand side. If you want to get involved there are many Pangolin conservation organizations out there. I'm currently working with the IUCN Specialist Pangolin Group, pangolinconservation.org and OneMoreGeneration.org. joining the NatGeo Short Film Showcase. It has also been an important tool for conservation, and has been used as part of One More Generation's pangolin initiative in primary schools, featured in The Nature Conservancy’s social media campaign to decrease consumption in China, and used as a central part of the U.S. Wildlife Trafficking Alliance's digital toolkit serving - reaching over 25 million travelers annually to end demand for illegal wildlife products. I have also been offered a seat on PangolinConservation.org's Board of Directors, and launched Instagram's @PangaforPangolins account, which raises awareness about pangolins using a child-friendly mascot. I am overjoyed that people are emotionally connecting with the film and that audiences seem to pick up on the fact that we were not trying to make villains out of the poachers, smugglers and buyers. Sometimes we get opposite reactions though, from people that are furious and seem to want to avenge the Pangolin from those that create the demand. 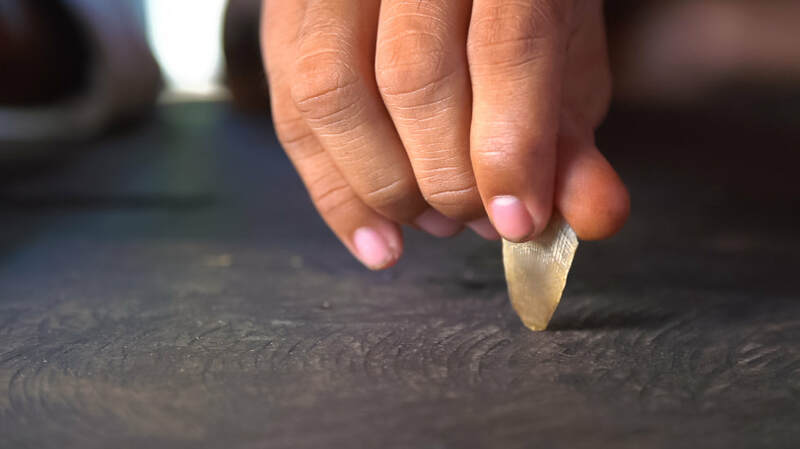 It's challenging to come up with the best strategy to combat the illegal Pangolin trade, especially when consuming these animals is ingrained into the culture.